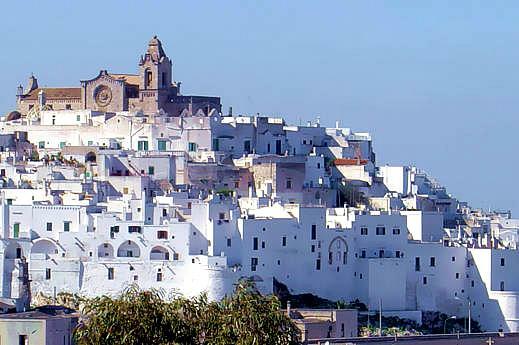 While my Italian friends are submerged under many feet of snow, I'm making plans for my upcoming trip to Puglia. I'll be there for several weeks in March, before I head to Zagarolo for two months. 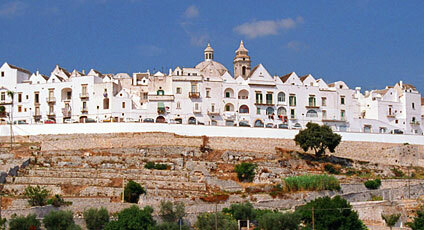 Puglia's history goes back 8000 years, and its architecture has Greek, Byzantine and Norman influences. At this time of year, not many people venture into the region of Puglia, in the "heel of the boot" that comprises the larger peninsula of Italy. It will be an adventure! 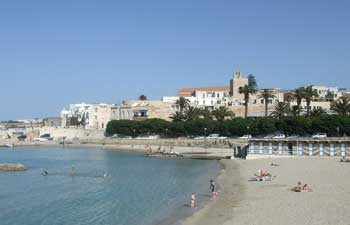 Puglia is not a big tourist draw for foreigners at any time of the year, and few Americans journey there. However, Italians flock to the many Puglian beaches in July and August. 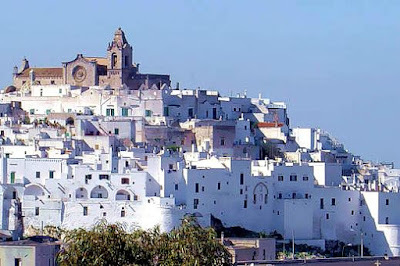 One of the main reasons that tourism is low in Puglia is due to the difficulty of traveling between many of the cities in the region: public transportation is unreliable, so the best way to see it is by car. As usual, I'll be traveling by train, so I'm headed where there are reliable connections. Fortunately, the most interesting places to go are on my route! First, I'll travel by Eurostar from Rome to Lecce, a 5 1/2 hour journey. Lecce is often called the "Florence of the South," due to its beauty. Lecce's Basilica di Santa Croce, pictured below, is rich with Baroque symbolism. 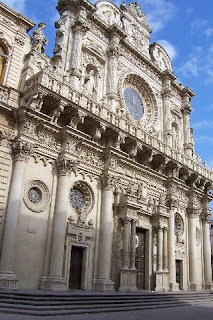 While in Lecce, I hope to take a day trip to Ostuni, also know as la citta bianca (the white city). 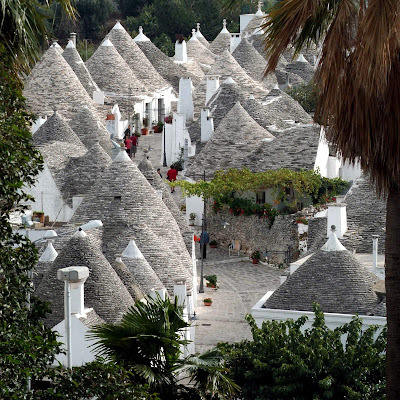 Next, I'll travel to a popular tourist area, to view the unique stone houses in Alberobello and Locorotondo. The Trulli of Alberobello have been on the UNESCO World Heritage site list since 1996. 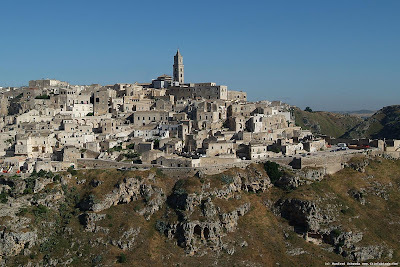 I'll also be traveling west to the nearby region of Basilicata for several days to see the Sassi of Matera, another UNESCO World Heritage site. Each of the towns I'll be visiting has an unusual and unique history, but I'll save those stories for later, after I've had the chance to see them up close and can report in more depth. I will be looking forward to your posts. Buon San Valentino. Thanks for commenting on my blog! Looks like you are having many adventures as well! 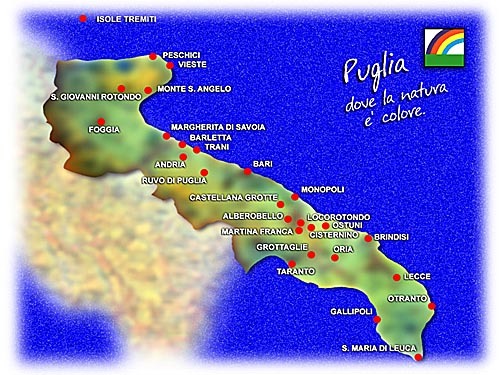 I heard a lot about Puglia and I hope to visit sometime soon!